There was a moment at Anfield on Sunday when Andy Robertson slipped when in possession and the ball found its way to a Chelsea attacker. Memories of ’14 were evoked, but happily this time the danger was thwarted and everyone was able to sigh with relief; including Jurgen Klopp, who realising the irony of the situation was pictured smiling away on the touchline. It was a rare foray forward from the Blues in a game which Liverpool otherwise dominated, and it’s very much a case of as you were with our 2-0 victory following Manchester City’s own win at Crystal Palace earlier on Sunday. The first half was entertaining enough but passed by without the scorers being troubled, but the second period burst straight into life when Sadio Mane nodded home from Jordan Henderson’s cross to ease some of the nervousness felt in the Anfield stands. If that got the faithful on their feet, then Mo Salah’s world class strike just two minutes later had them dancing in the aisles. The Egyptian cut in from the right on his favoured left foot and hammered an unstoppable shot into the top corner of the net. In the space of two minutes, we had gone from thinking about the damage caused by dropping points to back on easy street, and the rest of the match passed by with minimal incident bar Eden Hazard’s shot which struck the post. But otherwise it was a case of job done, and arguably our toughest Premier League fixture in the run-in was navigated with aplomb. We can park our title challenge for the time being, as we head off to Portugal on Wednesday for the second leg of our Champions League quarter-final against FC Porto. It was such a shame to see Jordan Henderson limping off on Sunday. Our captain has been magnificent in recent weeks in his more advanced role, and he will surely be a pivotal part of the run-in to the end of the campaign. The good news is that the diagnosis is a positive one. Klopp told the official club website: “He got a knock on his ankle, that’s pretty much all. He was fine after the game. We would assume then that he might be given the night off on Wednesday when there’s minimal need to risk him. James Milner is likely to deputise. That midfield trio has been a real positive for the Reds in recent weeks, with Naby Keita finally looking like the player we always expected. He too may be rested in Portugal, with Gini Wijnaldum fit to deputise. If you remember back to the first leg, Dejan Lovren was given a surprise start ahead of Joel Matip; ostensibly to help us tackle the Portuguese outfit at set pieces, from which they have an excellent record. So it’s possible that the Croat will return to the starting eleven here. There’s not a huge amount to add since our preview of the first leg between the sides. Following the 0-2 defeat, Porto got back to winning ways with a 3-0 romp at Portimonense on Saturday. They’re a team, like many others, who are much stronger on home soil, and after some good wins in the group phase of this competition in front of their own supporters they also beat Roma in the last 16 to overturn a first leg deficit. They must not be taken lightly, that is for sure! It’s a tough one to call this. We know that Porto are a better side on home soil and will be desperate to perform much better in this second leg, but Liverpool are a dangerous side to try and overcome a two-goal deficit too. 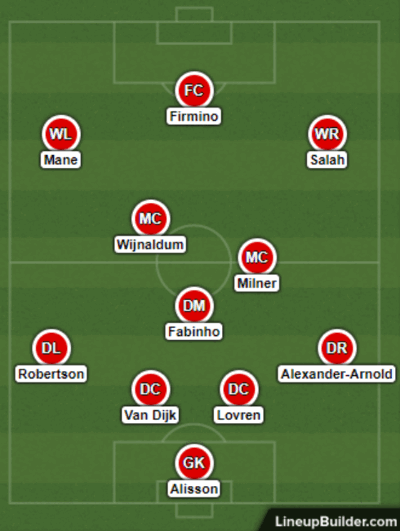 We will just sit in, look to soak up the Portuguese outfit’s attacks and then hit them on the break at pace, with Mane and Salah in particular devastating on the counter. Porto face a dangerous game here, and that’s why we fancy the Liverpool win – at odds of 23/20 – is a decent price. We will be very hard to stop on the break. If you want to massage some extra value out of this game, we can perhaps make a case for Porto scoring. They have to go for it, after all, and they will be more confident on home soil. BTTS is available at solid odds of 4/5, but if you want to push the boat out how about Liverpool to win and both teams to score at a princely price of 7/2.